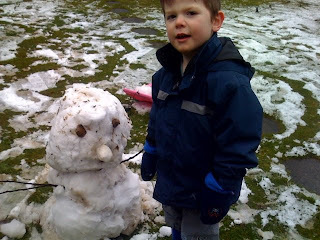 I spent a happy hour or so helping build a snowman with my nephew, Max. It all became a bit desperate towards the end as the snow began to thaw. Quite a hard lesson for any youngster to understand really.